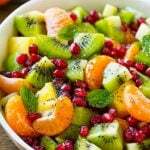 This winter fruit salad recipe is a colorful variety of fresh fruit tossed in a light honey poppy seed dressing. The perfect side dish for brunch or a holiday meal! It’s that time of the year when all the berries and melons disappear from the grocery store, and what’s left is apples, apples and more apples. Oh, and a few oranges and bananas too. This winter fruit salad takes the best of the season and turns it into a light and refreshing side dish that’s packed with color and flavor. For this recipe, you’re going to need mandarin oranges, pineapple, kiwi and pomegranates. These are all fruits that are readily available during the winter and they’re a nice change from the standard apples and bananas. The fruit is tossed in a light dressing made from citrus juice, honey and poppy seeds. You can buy pomegranate seeds that are ready to eat, or get a whole pomegranate and remove the seeds yourself. I typically use those little mandarin oranges that come in mesh bags at the grocery store, but any tangerine variety will also work, so long as it’s seedless. I garnish my winter fruit salad with a handful of fresh mint leaves, but that’s an optional step. If you like that burst of fresh minty flavor, add them, if not, it’s still an amazingly delicious salad without the hint of mint. This salad can be made up to 2 hours before you plan to serve it; simply store it covered in the refrigerator until you’re ready to go. What I love about this salad is that it’s unexpected, yet full of vibrant flavors and colors that can bring a little cheer to even the dullest of winter days! 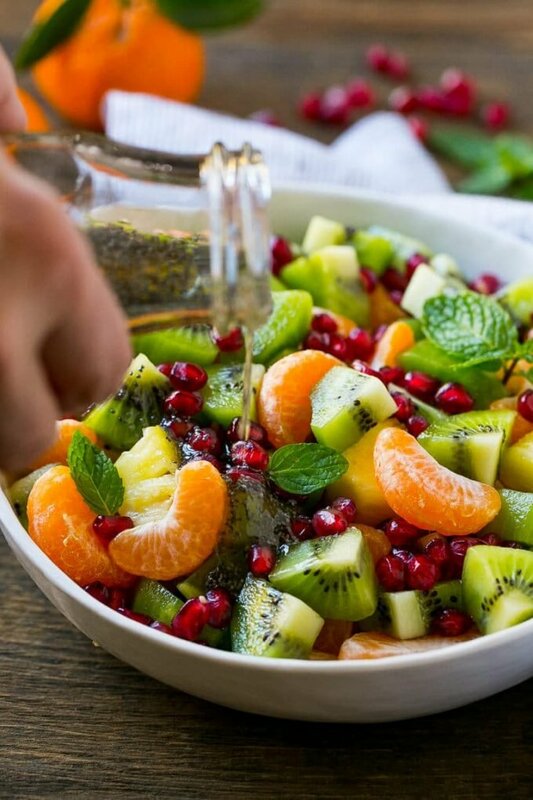 This winter fruit salad is a colorful variety of fresh fruit tossed in a light honey poppy seed dressing. 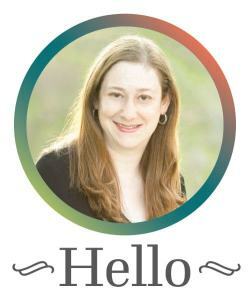 This is a sponsored post written by me on behalf of Bear Creek Soup Mixes. This post was originally published on January 17, 2017 and was updated on November 1, 2017 with new content. Yes you can, just gently fold them in at the very end after everything else is mixed together so that they don’t break apart! I’d love to make this for an office party coming up, but would have to prepare the night before. Will it be alright in the fridge overnight, covered? Yes that should be fine, you may want to just prepare the fruit then add the dressing right before serving! The kiwi should be slightly firm for this. Correct? Made for early thanksgiving! Beautiful color in clear glass bowl. It was a hit. Two year old said “this is really good can I have more!”. The fruit salad is beautiful and looks delicious but not sure what makes it “winter,” since most of those aren’t winter fruits. The fruits are all readily available during the winter, unlike more seasonal fruit such as berries and melons. I’m adding this to my recipe book online! Looks absolutely delicious. Perfect for the summer sun. I made this recipe exactly as written for a ladies luncheon. It was sensational. The honey/fresh lime dressing was light and flavorful. It was beautiful to look at with the small mint leaves. This recipe is a keeper. Thanks for sharing! I recently made this and added dragon fruit and the juice from the cut-up pineapple along with the lime juice. This side dish became the showstopper! 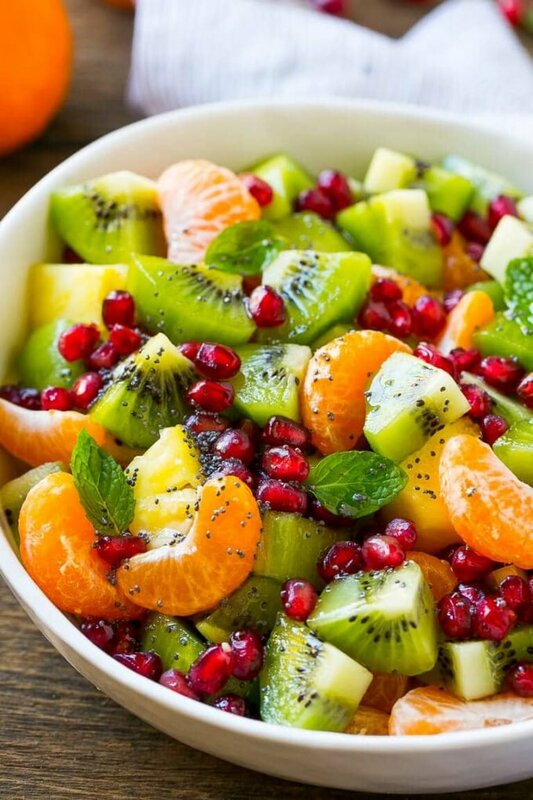 This impressive and delicious fruit salad will be my go-to forevermore! I substituted 1 cup of strawberries, diced for the pomegranate arils which I thought were a little hard to eat. I loved the color of the arils but not the texture. Also cut the poppy seed to 1/2 tablespoon. Very good!! I will definitely make again. I received lots of compliments. I love how colorful and yummy this salad looks! This would be a great salad for anytime of the year! Is it really supposed to say 2 Tablespoons of poppyseeds. I did 1.5 Tablespoons and it overwhelmed the fruit. My guess is that should read 2 teaspoons. I would love to give this a try! It’s really nice to have a salad like this during the Holidays! It balances out all the heavy dishes that we have! 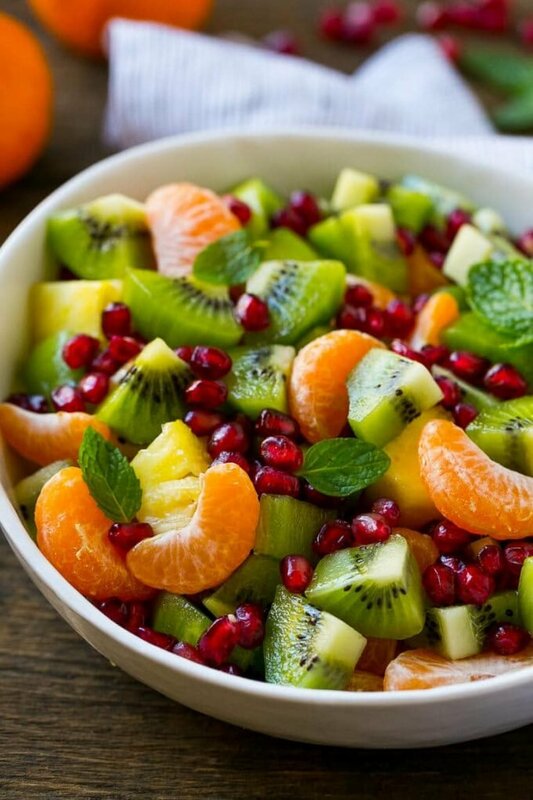 I’m just loving the colors of this fruit salad! It looks super delicious! As much as I love all the sweet treats that are available during this season! And those that we can make at home as well, I also want to make sure that we have something fresh and healthy! 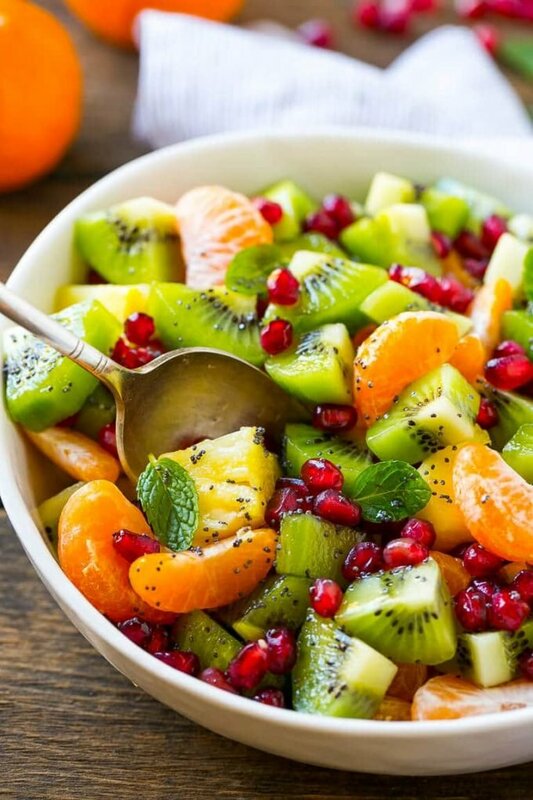 This fruit salad is perfect!